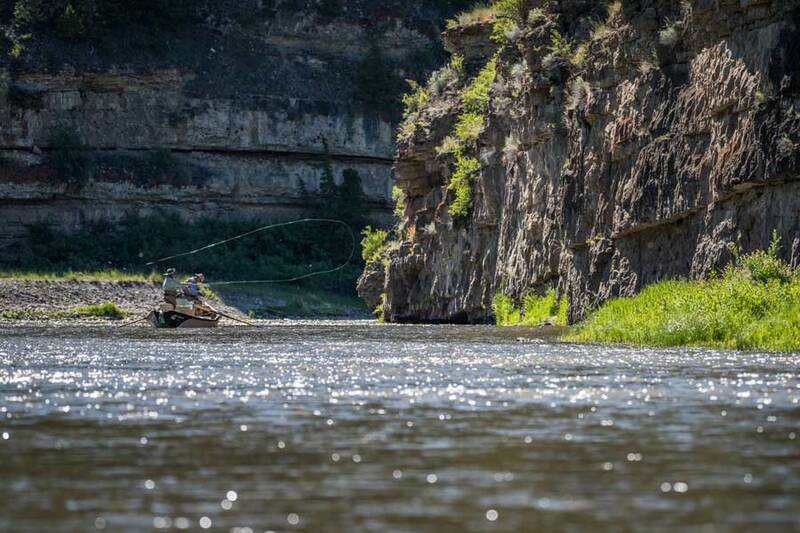 The crown jewel of Montana’s off-the-beaten path fisheries, the Smith River is a small but floatable river that winds its way through a limestone canyon that effectively divides the Big and Little Belt mountain ranges. The scenery is spectacular, with a blend of lush meadows, towering limestone cliff walls, and dense stands of evergreen forests. The fishing can also be superb, under the right conditions, and the river offers a healthy population of wild brown and rainbow trout. 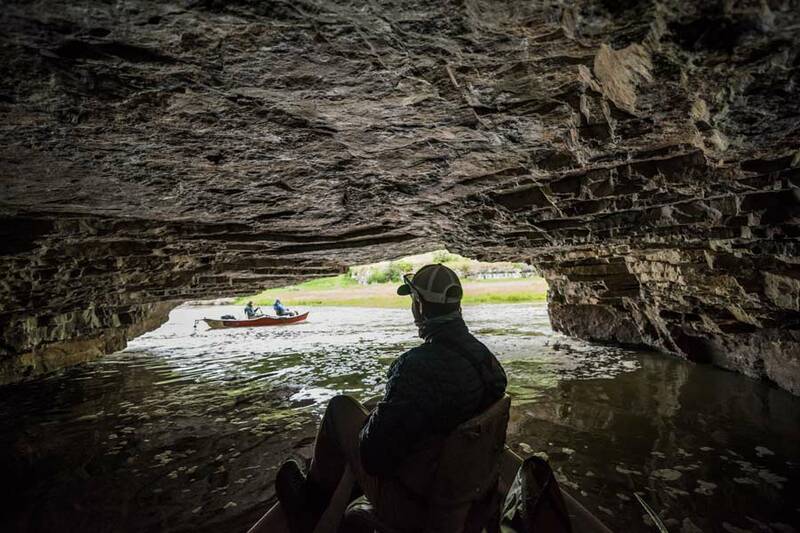 Accessing the middle of the canyon is a challenge, and the best way to fish the river is to commit to a five-day float trip that allows you to cover the 59 miles between Camp Baker and Eden Bridge. The Smith is the only river in Montana that requires a permit for all outfitted guests and private users. There are only a few outfitters that are permitted to operate on the Smith River. Private users can apply for launch via a lottery system operated by Montana Fish Wildlife and Parks. June on the river can be spectacular. 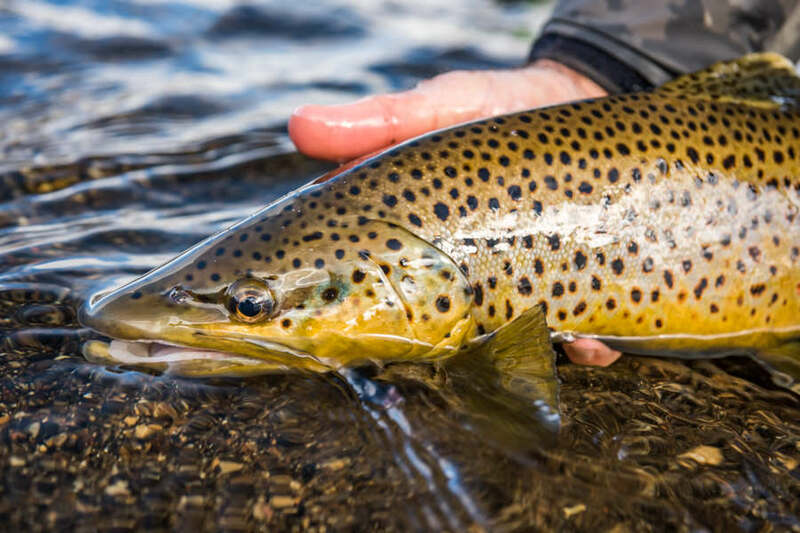 The strict permit system on the Smith ensures that there is limited fishing pressure, compared with some of Montana’s other famous fisheries, especially since many of the lucky lottery winners simply enjoy the river without fishing. 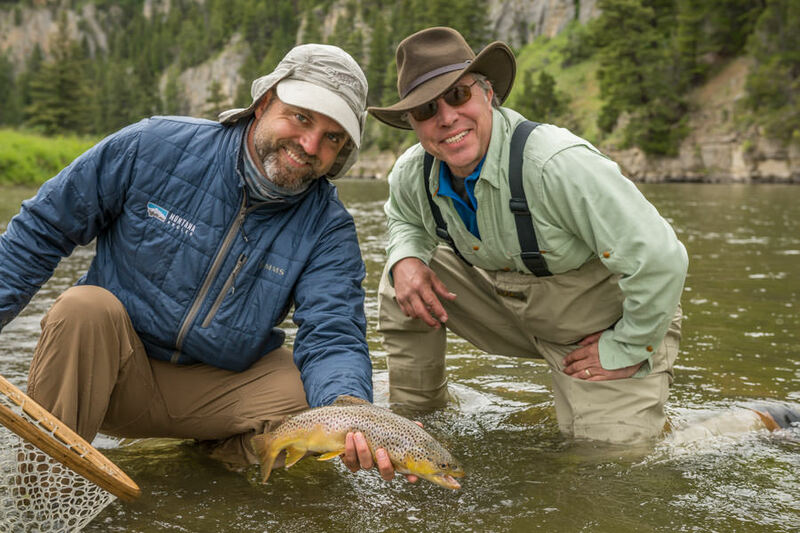 Any given launch date on the Smith holds prospects for high-quality fly fishing, although nothing is ever guaranteed due to the river’s freestone nature. Since guided guests need to book trips months or even years in advance and private users apply in February, it is impossible to know what the river conditions will be when you plan your trip. The Smith is a smaller volume drainage, so most floaters and anglers target the spring and early summer, when flows are at their highest. Summer dates can produce warm water and low flows on average or below-average snow years. On good snow years, good fishing can extend deep into the heat of summer. Fall can be a spectacular time to fish the Smith, with extremely light fishing pressure and ideal water temperatures. 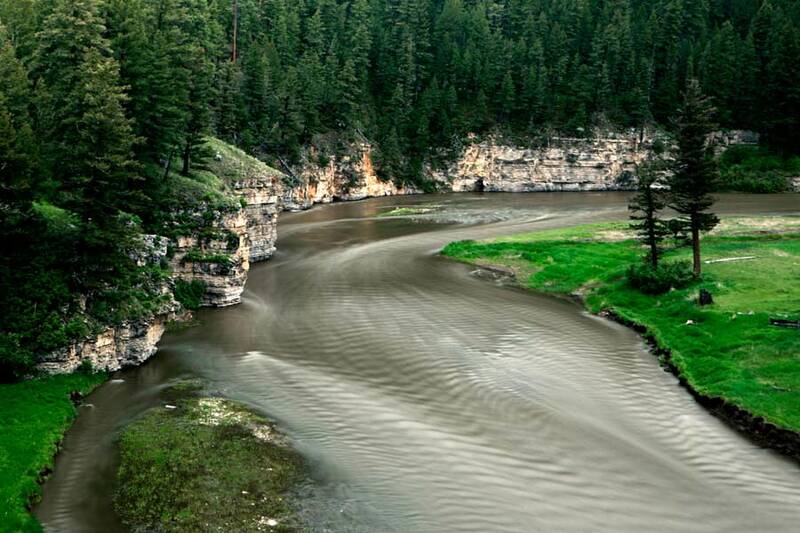 However, in fall the flows are sometimes too low to successfully navigate the canyon via boat. The most difficult launch dates to book or win via the lottery are June and early July. May launches are also popular times ,since higher flows ensure easy floating. Summer and fall dates are easier to acquire, but anglers and floaters run the risk that the river will be too low to run a trip. 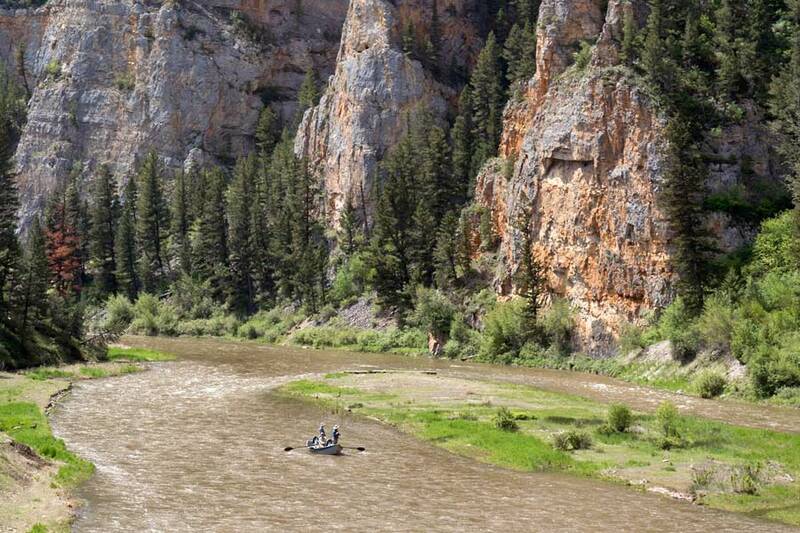 Spring is a great time to target for a float on the Smith River. Many of our most productive fishing trips are in May, and lucky anglers can experience some of the river’s thickest hatches during this window. Plus, an early-season trip ensures that water temperatures will still be cold. River flows in April can be somewhat unpredictable: if weather is colder and the water is still locked up in the snowpack, there is some risk that flows will be too low to float. Most years, from mid-April on, flows should be good enough to launch a trip. By May, the river is generally on the rise, as air temperatures warm, and floating is generally easy. The Smith generally has some “color” to the water for most of the float season, but it rarely has so much sediment that it is unfishable. The toughest spring conditions occur when the river is rising rapidly, due to hot weather producing rapid snowmelt or heavy rains. Moderate increases in river flows are generally tolerated well by the trout, and fishing remains good to great. When the river is rising fast and gaining hundreds of cubic feet per second of added discharge from one day to the next, trout need to find new lies within the river and fishing is tougher. Even in tough conditions, though, persistent anglers can still put some trout in the net. When the river is stable or dropping in the spring months, fishing is nearly always fantastic and often some of the best of the season, with strong trout and high catch rates. May is one of our favorite months. Early May is a perfect time to intercept some of the heaviest spring hatches, including the Mother’s Day caddis and Baetis mayflies (blue-winged olives). In April, Skwala stoneflies often produce the first dry-fly fishing of the season. Baetis hatches can be thick in April or early May, anytime heavy cloud cover and wet weather arrives. The famous salmonfly hatch happens earlier on the Smith than on other Montana waters, with the peak of the emergence in mid May. Dry-fly fishing over the salmonfly hatch depends on the stability of the flows, though. Oftentimes, the water temps that coincide with the hatch sync with rising flows, so trout are usually targeting the large nymphs. 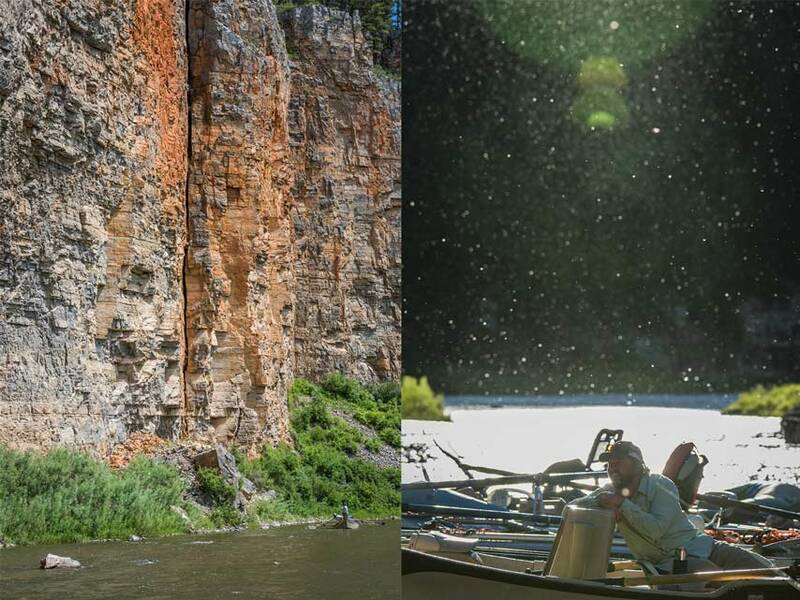 On days where the weather is cool but stable and still warm enough to keep the hatch going, lucky anglers can experience some amazing dry-fly fishing by casting huge foam patterns along the cliff walls. Peak flows on the Smith generally occur in late May or early June. Due to the smaller drainage and lower elevation mountains that feed the Smith, river flows peak earlier than on other systems in Montana. While flows are high in early June, the river most years has started to stabilize and on a lower-water year may even be dropping. Higher flows this time of year generally rule out dry-fly fishing opportunities, though. This is the time of year for big ugly patterns, and anglers have their best luck stripping streamers or fishing nymph rigs. Pattern selection does not need to be sophisticated, and a good selection of Pat’s Rubberlegs, San Juan Worms, Zonkers, crayfish, and a few smaller Princes or Copper Johns will suffice. If flows are higher (over 800 cfs), look for trout in “soft water” where the river current is slower, such as the insides of bends or in seams behind large rocks. Generally by mid-June, the river is on a steady decline, with flows dropping each day. Water temps are also rising quickly, which kicks off another round of hatches that include golden stones, pale morning duns, various caddisfly species, and yellow sallies. This is one of the most variable times of the season, and fishing conditions can change from day to day and even hour to hour. On an average water year, this is typically one of the best dry-fly windows on the Smith. On low water years, warmer water temperatures can become an issue as early as the last week of June. Lower flows and long days can also kick off algae growth, Generally speaking, the fishing can be good in this window even if it is a low water year, but fishing may shut off early as you move into early July. On a good water year, early July fishing can be fantastic as the higher flows help to keep water temps at a comfortable level for trout. The early summer window is one of the most sought-after times to obtain a launch. For private users, this is the most difficult time to win the lottery system, with odds as high as 3,000:1. Guided trips for these dates often book more than a year in advance. Although this is the most difficult time to “get a spot,” we find that the chances for good fishing in May and early June are often just as good as late June. Summer on the Smith is definitely hit or miss when it comes to fishing and floating the Smith. On a high snowpack year, the river may be floatable all summer and good fishing can extend into late July and even August. On average water years, the river often drops to levels too low to effectively float (at least to float and enjoy it) and requires extensive dragging of boats. Due to the uncertainty of midsummer dates we do not book trips in this window. Since the lottery system for private launches occurs in late winter it is best to avoid selecting dates in this window since the odds are good you will not be able to use your launch date. If it is a high-water year and you have some flexible dates you can often obtain a cancellation date for midsummer. Fall is a quiet time in the Smith River canyon. As days grow shorter, water temperatures drop to near ideal levels for trout. Around mid-September, irrigators turn off their head gates, which often results in a small but meaningful bump in water levels. Fall trips are always a gamble on the Smith, and some years the river is still too low to effectively float. There is about a 50 percent chance that flows will be high enough to get down the river for experienced boaters for a late fall trip – it all depends on water levels. Generally when the flows are right you have the entire canyon to yourself this time of year. Fishing can be terrific in this window, with lightly pressured trout looking for hoppers on sunny days or blue-winged olives on rainy or snowy days. Fall is often a dry time of year but a few fronts may begin to move that bring rain or even snow, so it pays to watch the weather carefully and make sure to bring cold-weather gear based on the forecast. This a truly great time to enjoy some high-quality dry-fly fishing, if you are lucky enough to catch the river at the right fall flows. By October, anglers can also have some success on the larger pre-spawn browns by stripping large streamers through the bigger runs. Cool, have fun,everyday is good for you!